I've been asked by Louis Nielsen, who together with Helena Christensen is behind Årets Brillelook, which I have earlier described here, to tell how I would style glasses. It shall be no secret, I have the eyesight of a mole. Alright, maybe not that bad, but whenever I'm not wearing my contacts or glasses, I'll be very close to whoever is talking. It should also not be a secret, that I'm laying a little bit low with wearing glasses, even though it's something I really enjoy. This is due to the fact that I'm wearing braces at the moment, and I feel that I've reached my maximum face-accessory limit (FYI, I just made that up). 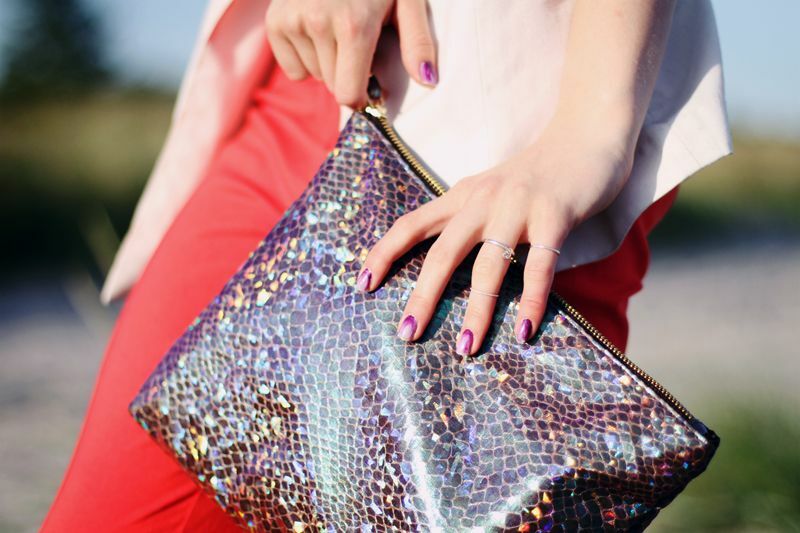 I chose to match the lovely dark purple colour of the Tiger of Sweden glasses with my shiny snakeskin patterned Topshop clutch and purple ombre nails. Since these frames are rather dark, I always wear strong eye-makeup and a bit of lip stain in order not to disappear behind the glasses. When the time came for jewelry, I only chose a pair of rings and a Line & Jo earring (Miss Eady), so that it didn't draw too much attention. I hope you all have a lovely day ! love the photos!!! love that clutch!!!! 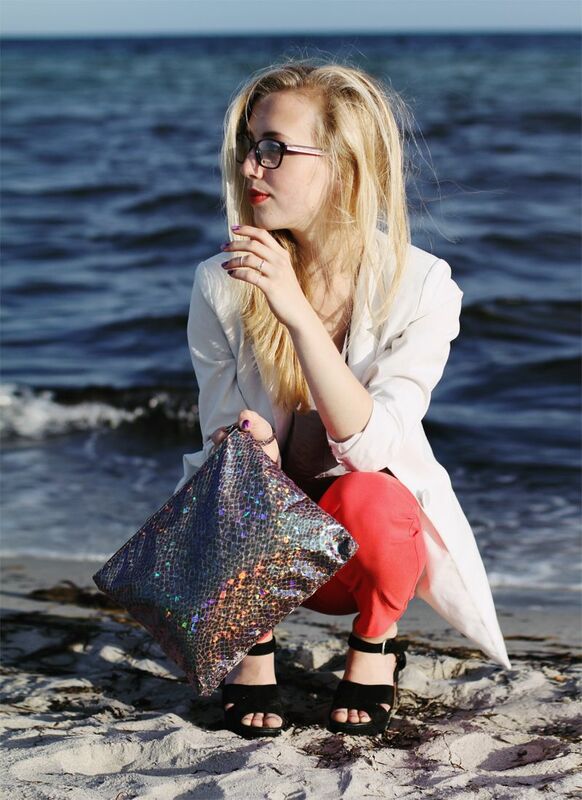 That sea looks amazing but that clutch is like mermaid colour! love it!!! That clutch is gorgeous! I LOVE!! The outfit is so gorgeous! 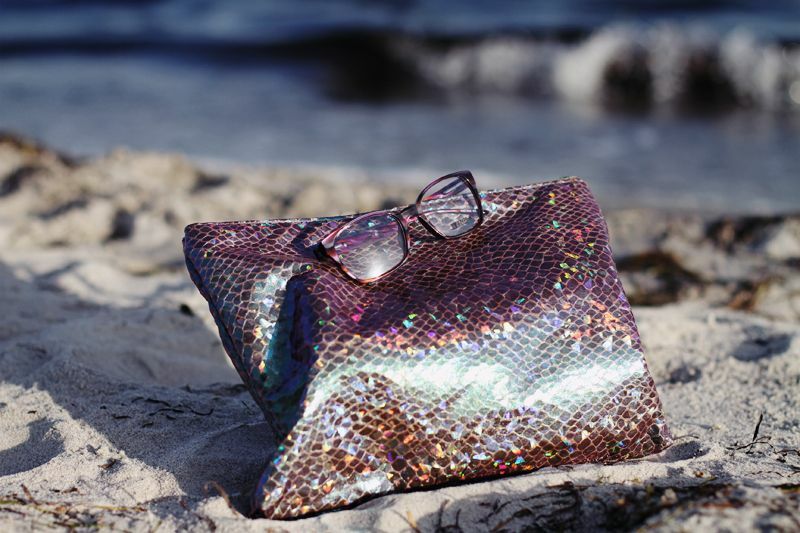 I love the clutch and the glasses ! That clutch is so flash and I love it so much. 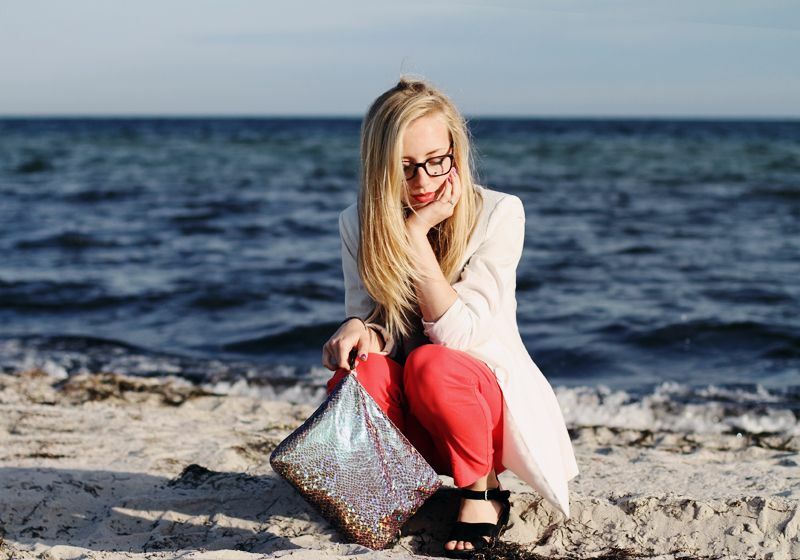 Love the clutch and your blog! fall in love with the shotss! u have beautiful outfit! !